The pre-historic site of Kutumba, about 180 kms south-west of Patna in Aurangabad district, is famous for the ruins of a massive fort. Excavations at the site, conducted in 2012-13 and 2013-14, 2014-15 brought forth a Mesolithic culture dating back to about 10000 – 8000 years back. Archaeological works at pre-historic sites have been rare in this state, as most of the prehistoric sites now belong to Jharkhand. Therefore, the discovery of a prehistoric site dating back to the middle stone age is an important discovery. 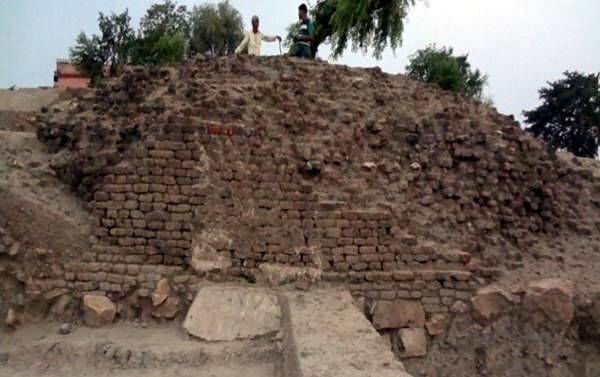 The excavations were directed by Dr.Bijoy Kumar Choudhary, Executive Director, BHDS with assistance from Dr.Anantashutosh Dwivedi, Technical Assistant, BHDS, Shree D. P. Sinha, formerly with ASI, Ravi Anand & Baleshwara Prasad.